This would be mind-blowing enough if you just thought it was a cleverly constructed model or something. But the fact that just a single, cut-out sheet of paper was used to make these gorgeous pieces of Star Wars art is frankly incredible. These marvelous works of paper engineering are known as kirigami, and were made by Marc Hagan-Guirey—better known as Paper Dandy—for an exhibition called Cut Scene late last year. 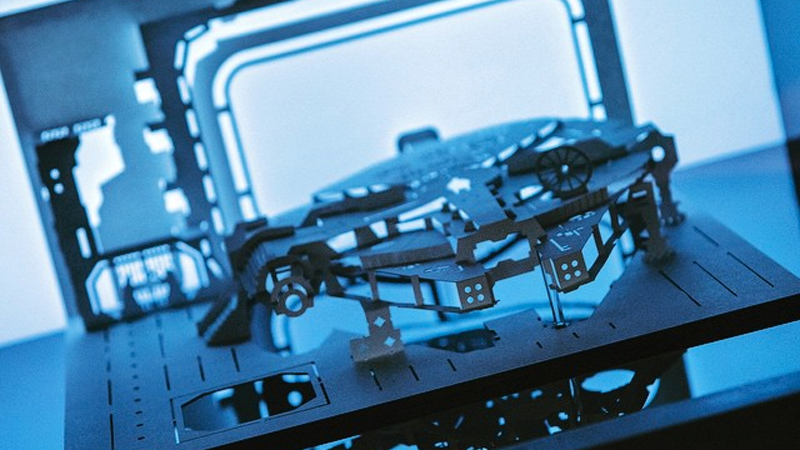 Hagan-Guirey has been making intricate recreations out of paper for years, but his Star Wars work is some of the most detailed and breathtaking examples of kirigami around. Even without the knowledge that these are all cut out of a single sheet of paper, they’d be impressive for the detail used to recreate some of the Star Wars saga’s most famous moments, but with it? It’s just fascinating. It’s mind-blowing to comprehend the amount of work and ingenuity that goes into creating things like this, making it all the more impressive. If you want to learn more about the process of making kirigami, StarWars.com has an interview with Hagan-Guirey that you can check out at the link below a few more examples of his gorgeous art.